Aside from rap's initial emergence during the late 1970s, another major cultural phenomenon that, in retrospect, captured the imaginations of large numbers of black boys was George Lucas's Star Wars franchise. 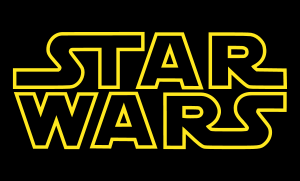 The first Star Wars was released May 25, 1977, The Empire Strikes Back May 21, 1980, and Return of the Jedi May 25, 1983. The Lucas films, along with his first two Indiana Jones movies (1981 & 1984) influenced large numbers of "fanboys" and artists, including Aaron McGruder. McGruder, who was born May 29, 1974, was quite young when he first saw Star Wars, but it was still a memorable moment for him. "My first memory in life was three years old," said McGruder in a recent interview with Eric Larnick. "My dad took me to see Star Wars, and it's not just the first movie I remember, it's my first memory." When asked what shaped his "geek upbringing," McGruder said that "the biggest thing was Star Wars." The most visible evidence of McGruder's interest in Star Wars appears in the multiple references he makes to the films in his comic strip and cartoon The Boondocks. Lucas brought McGruder on as a screenwriter for Red Tails, a movie about the Tuskegee Airmen. In a few different interviews, McGruder has expressed excitement and gratitude for receiving the opportunity to work with a producer/director whose work so greatly influenced him as a child. Looking back, it's useful to consider how an action movie based on intergalactic space travel with aliens and robots inspired and stimulated the minds of young black boys. Since rap, with its attendant mantra of "keeping it real," so often dominates conversations about the artistic influences of black males during the 1970s and 80s, a consideration of how Star Wars, comic books, and other realms of speculative narratives and action movies stimulated the thinking of African American boys might be a necessary step for moving in alternative directions. Colson Whitehead has often mentioned his interest in comic books, and his most recent novel Zone One reveals his longstanding ties to the zombie movie genre. Ta-Nehisi Coates regularly references his childhood interest in Dungeons and Dragons and other activities typically associated with geek or nerd culture. Like McGruder's work, the illustrations of Keith Knight and Darrin Bell suggest that they too had early interests in comic books and action/adventure movies. It's fascinating to consider what things such as Marvel and D.C. comic books and major movies like Star Wars meant for the imaginations of black boys. Among other things, it takes us beyond the typical focus on their tough conditions and prompts us to consider their minds and thinking processes.